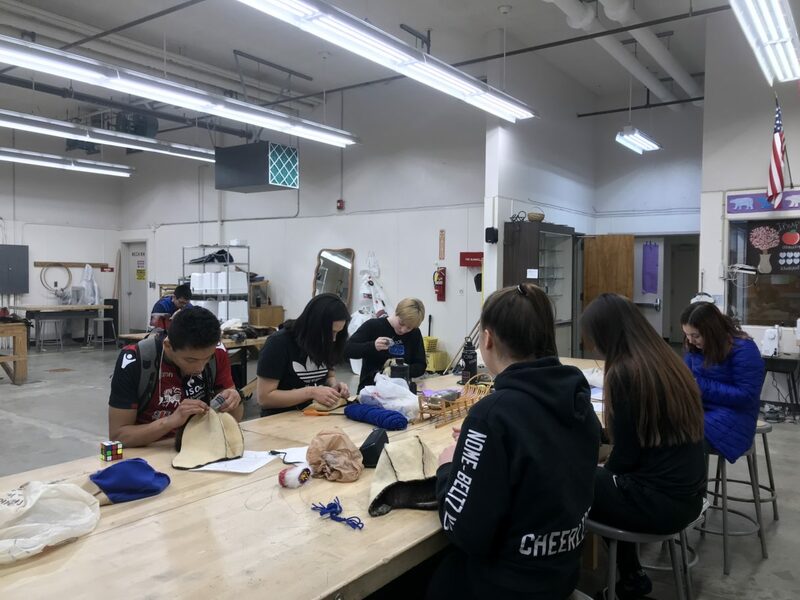 During Winterim, the annual 2-week winter elective program at Nome-Beltz High School, students end their typical schedules early to attend an elective every afternoon instead. This year, Winterim ran January 14-25 and offered a range of classes including two uniquely local subjects: Alaska Native Leadership and Making Seal Skin and Beaver Hats. Students file into Phyllis Walluk’s Winterim class, and they immediately get to work. As they talk and laugh with one another, they are making their very own seal skin and beaver hats. They stitch their hats by hand while their teacher looks on, ready to help anyone needing assistance. That’s Sierra Anderson, a senior at NBHS. She talks as she sews the fleece lining onto her seal-skin hat. She says she would’ve liked to take Walluk’s mukluk-making class last year, but it was full. Evidently, Walluk’s classes are in high demand. 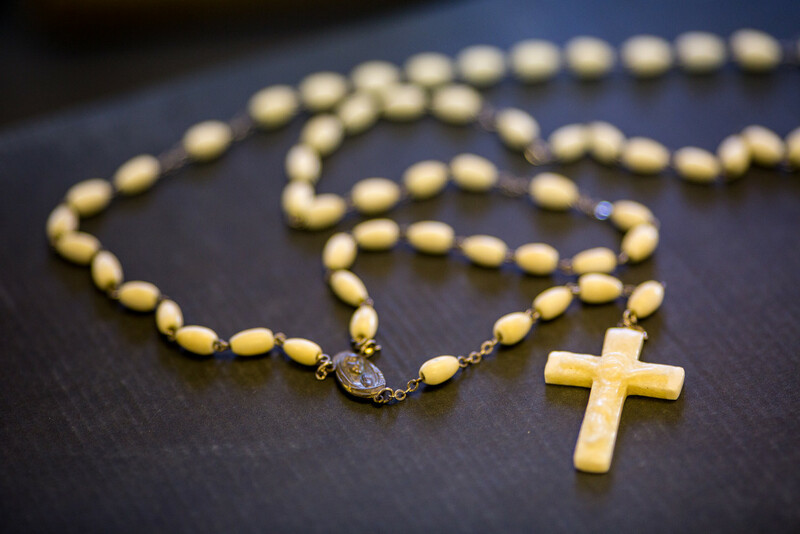 Walluk regularly teaches a course called “Alaska Native Art and Culture,” in which students start off the quarter making small pieces, gradually adding on more sewing and beading, working up to making things like kuspuks, mittens, or hats. Walluk says the Winterim class is different: she had to think of what the students could feasibly make in two weeks’ time. Walluk called the kids in her class “lucky.” NBHS provides funding for all of the materials, and as Walluk puts it, the students are doing the same things their ancestors did years ago. Out of the workshop and just down the hall, Michael Hoyt’s Alaska Native Leadership class is taking a short break. That doesn’t stop kids from practicing counting in Iñupiaq, after Meghan Topkok stopped by the class for a quick lesson. 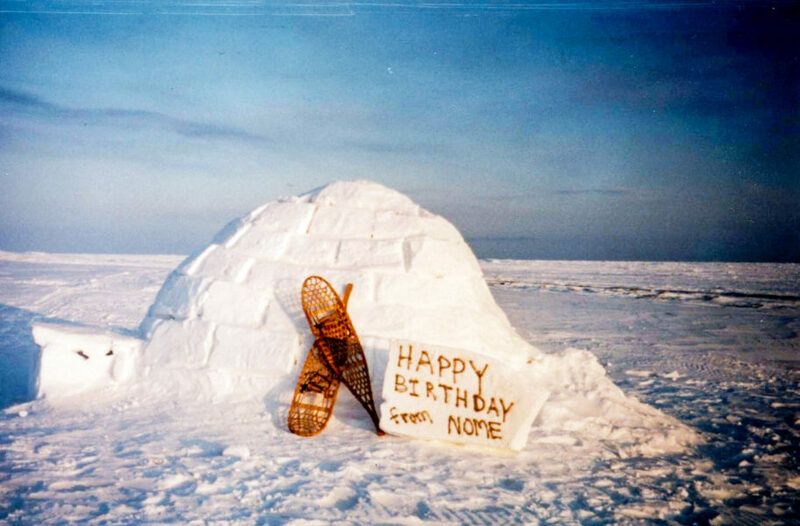 Hoyt is the advisor for NNYLO, or Nome Native Youth Leadership Organization. He says his Winterim class was meant to be an extension of that — having a time to focus on things like indigenous values and issues. During its two-week duration, the class incorporated some Iñupiaq language lessons, discussion on Iñupiaq values and how to use them in day-to-day life and education. The class spent a chunk of time looking at issues relevant to Alaska Natives as identified by the Inuit Circumpolar Council (ICC). On the day I visited, Hoyt showed the class a video on a language immersion school down in the Lower 48, and class conversation ensued on how aspects of it could be brought to Nome. 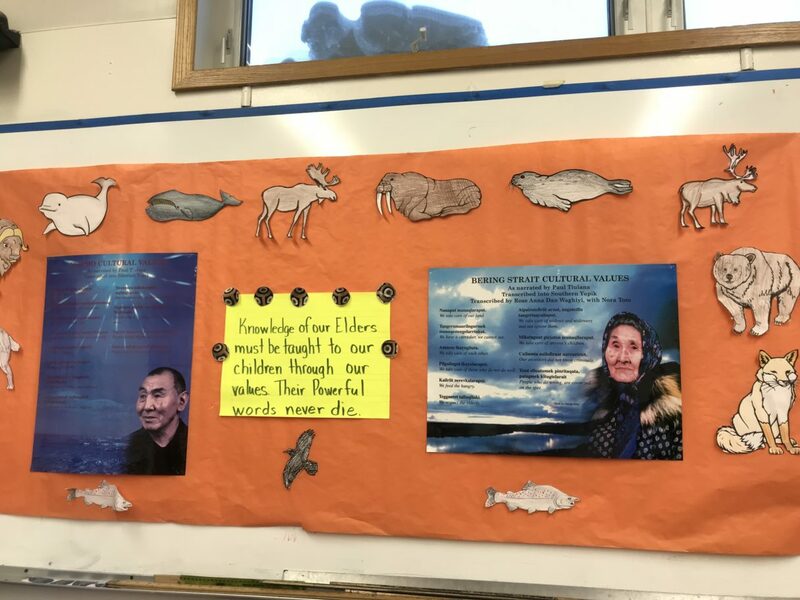 One student brought up how she’d like to see more teachers incorporating Iñupiaq into their classroom like Hoyt, beyond mere posters on the wall. For Hoyt, who speaks a bit of Tlingit and incorporates that into his classroom as well, it’s exciting to see how eager the kids are to learn their language. Whether they walked away with a hat or an idea, students in both Walluk and Hoyt’s classes ended Winterim with an experience unique to Western Alaska, and to Alaska Native culture. 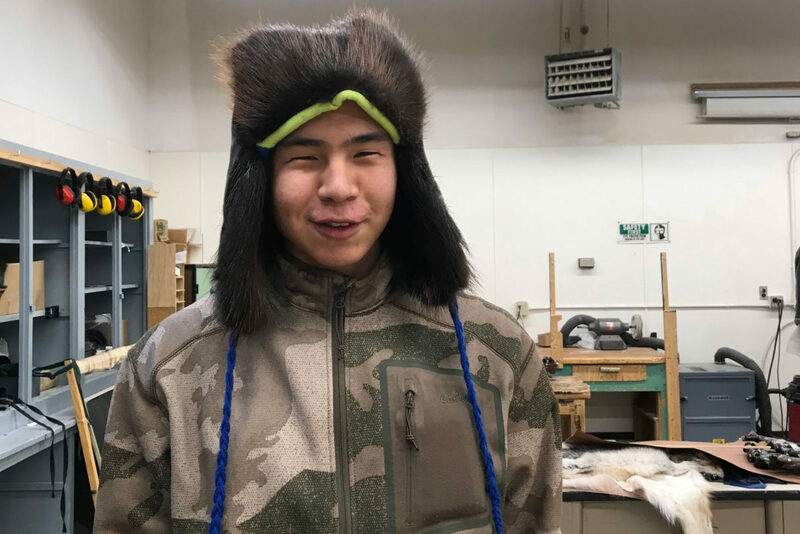 Image at top: Nome Beltz student Ethan Seeganna poses with his finished seal skin and beaver hat made in Phyllis Walluk’s 2019 Winterim class. Photo: Katie Kazmierski, KNOM. Posters in Phyllis Walluk’s classroom at Nome Beltz High School. Photo: Katie Kazmierski, KNOM. Siberian Yupik labels in the classroom of Phyllis Walluk, who is Siberian Yupik and from Gambell, Alaska. 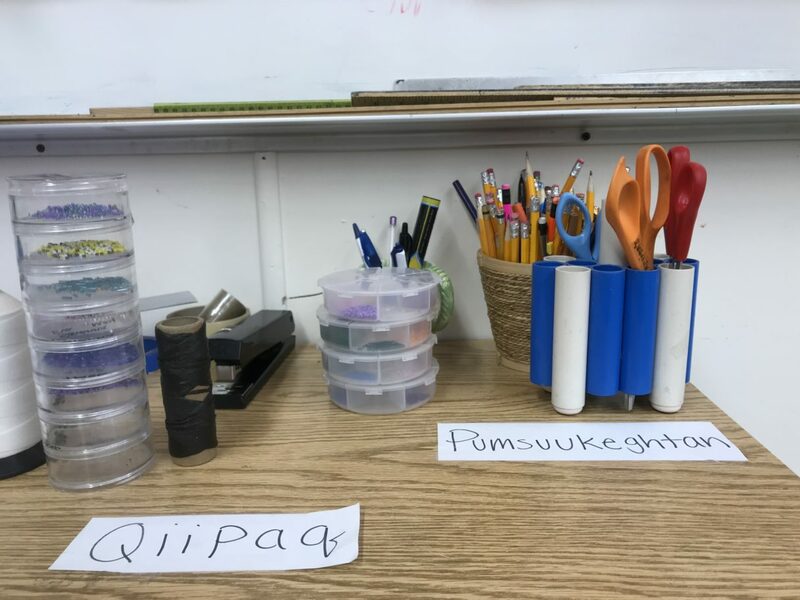 “Qiipaq” translates to “thread,” and “Pumsuukeghtan” means “scissors.” Photo: Katie Kazmierski, KNOM. High school students hard at work sewing their seal skin and beaver hats. Photo: Katie Kazmierski, KNOM.